Packaging your donations is an effective way to increase the volume of giving and the size of the average gift.. Before you start contemplating packaging, however, you want to be sure that you’ve identified your target audience(s). If you have not yet done this in any sort of structured way, I strongly suggest that you read Who Are Your Donors & What Do They Want? and download the companion worksheet before you move on to donation packaging. Once you’ve identified at least one audience, you are ready for the next step! First download the donation packaging worksheet. The first question you want to ask is “What is the average gift for this audience?” If your data tells you that this group makes an average gift of $50.00, then you don’t want to suggest a gift of $5.00 – you want, instead, to encourage donors to give more by suggesting higher levels of giving. By the same token, you don’t want to present giving levels that are far in excess of what this audience generally gives. By doing so, you not only lose the opportunity to incrementally nudge donors to give more, you may actually offend people. Once you have determined an array of 3-5 giving levels, you are ready to wrap those amounts in context. 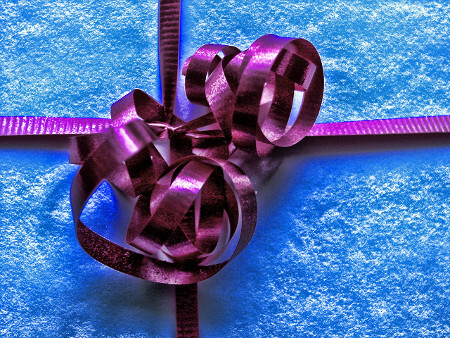 Do you offer services or aid that could be paid for with a gift of a certain amount? Are there supplies necessary for your mission for which you can estimate cost? Note one impact in the “Description” column for each amount. As always, consider your audience; if you are speaking to a segment that you know is focused on children and family, then articulate impact in a way that will resonate by demonstrating how you support kids and families. Note: creating donation items does not demand that gifts are designated; many organizations simply note that giving levels indicate a few examples of the many ways your gift can make an impact in fulfilling the mission. Now that you have impact and amounts identified you are ready to look for images that further communicate the impact of each giving level. Remember that the image doesn’t need to be literal. Our fictional food bank may be supplying after school snacks, but the image doesn’t have to be a picture of an apple or a juice box; instead, it might depict a happy, healthy smiling child. Finally, we just need a descriptive name for each donation level. This should be short and clear. It’s like a product name; it needs to say just enough to get a donor to read more about giving at that level. You will want to complete this exercise for each of your target audiences, creating packages that will appeal to them based on why they support your organization/mission. Once you have done this, you want to marry your targeted, packaged donation items with targeted email/direct mail/social media campaigns intended for your various targeted audiences.